As we age, our skin's collagen and elastin tend to decrease, reducing our skin's volume. This is very common concern, often referred to as saggy skin or loss of contours, can sometimes alter the structure and shape of our whole face. 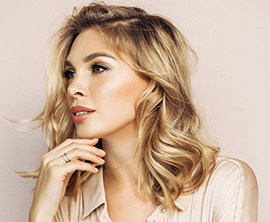 Facial volume can help to give you more defined cheekbones, fuller jowls and a stronger jawline – all things that can restore a 'youthful' appearance. One of the main causes of facial volume loss is simply growing older. Our hormone levels start to drop, the amount of collagen in our skin cells naturally begins to reduce, and we stop producing so much hyaluronic acid to keep our skin moist. These factors together may result in drier, thinner skin that might no longer hold itself up at optimum plumpness. How to treat loss of facial volume? Injectables that can help shape and boost volume to fill out sunken areas of your face. Unfortunately, none of us can avoid ageing! However, there are a couple of things that you can do to help prevent facial volume loss. Firstly, a good moisturiser and a high water intake can keep your cells more hydrated, and you might help to replace some of the moisture that you’re no longer naturally producing. Secondly, you could avoid smoking and protect yourself in the sun. Sun and smoke damage have been proven to accelerate ageing of the skin. 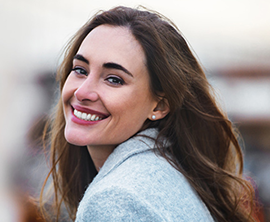 Dermal Fillers is a minimally invasive injectable treatment with long lasting results. The duration can vary from 6-12 months depending on the type and number of areas you would like to treat.